In my almost 5 years of parenting I’ve changed thousands of diapers, fed a comparable number of bottles, lost incalculable hours of much-needed sleep and had myriad Pixar movies’ images permanently burned into my corneas after perpetual viewings. 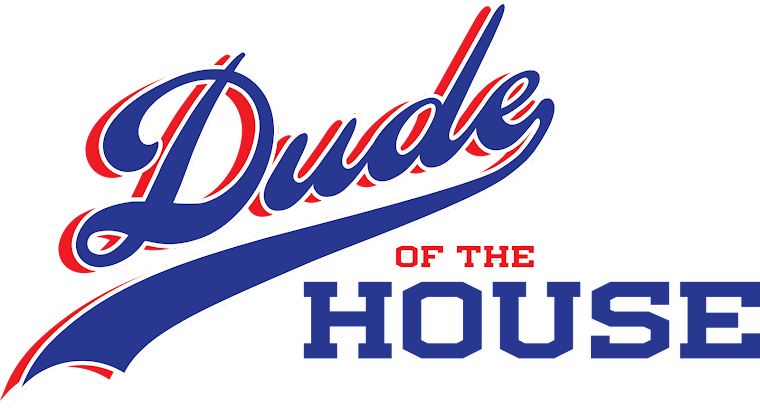 Parenting the two Junior Dudes has introduced me to activities that not only had I never done before, but many that I didn’t even know existed before I became a father. Siphoning the snot out of their congested little noses, anyone? There is one invaluable parenting exercise, however, which I had intentionally avoided doing since even before Day 1: I never learned how to install a car seat. Though I’ve never acknowledged it before now, I admit that not knowing how to do something as vital as this has been a source of guilt. So you’re probably wondering why an extremely hands-on father like me never learned how to install a car seat and the answer is simple. Not wanting to fail as a father has been an ongoing fear since long before I actually became one and I don’t think that’s abnormal. I frequently tell my boys, and myself, that my primary objectives are making sure they are always fed, healthy & safe. 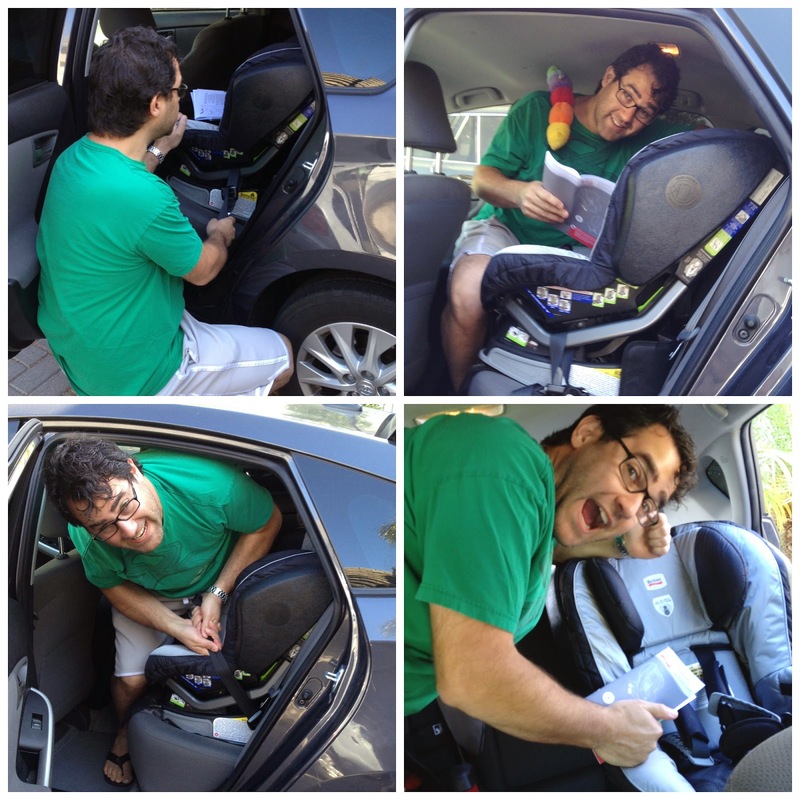 When we went to get our first infant seat installed a week before the Little Dude was born, it was my 37-weeks-pregnant wife maneuvering in the back seat of her Prius watching the Installation Guru finesse the intimidating harnesses and straps into place. I was afraid that when called upon to install a car seat in a real setting, I would do it wrong and my son would somehow get hurt as a result. So I strongly encouraged my wife, who is much better with attention to detail than I’ll ever be, to learn the process. And for 4 ½ years, she’s moved the seats in and out of our cars like a professional. So I decided to finally do something about it. When the Britax people asked if we wanted to test out their Advocate "UltimateComfort Series" car seat*, it seemed like the perfect opportunity to finally learn this skill I desperately wanted but had long avoided. Since we’ve used Britax car seats for years, and I felt confident that they’ve been keeping my boys safe, this was my golden opportunity to finally practice what I preach. I opened the box and read the instruction booklet cover to cover. 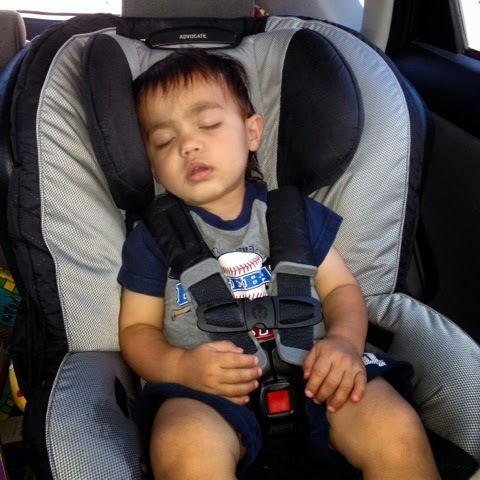 I felt comforted knowing Britax’s patented HUGS Chest Pads would be hugging the Littler Dude safely in his seat, since I can’t do it myself while driving. The technology Britax created to minimize the force a child encounters in the unexpected event of an accident is vital and the seat’s Integrated Steel Bars lock its connection to the car, reducing forward movement during a crash. 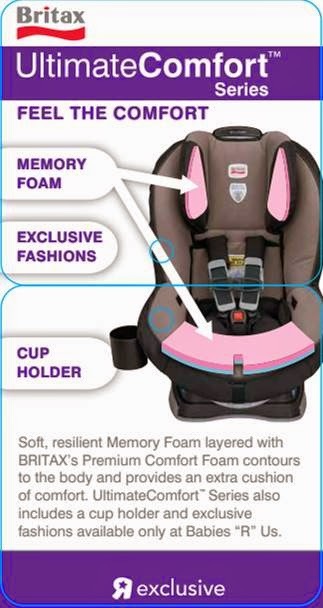 There are countless features Britax includes to make sure that kids stay safe in the (Heaven Forbid) event of an accident. Those are the nightmares no parent wants to think about, but I feel better knowing Britax is looking out for my kids like they are their own. Since both of my boys are near the top of their respective growth charts, it’s reassuring to know that the 19-month-old Littler Dude can stay in this Advocate until he’s 65 pounds (and 49” tall), which should be at least another year (hopefully 4). 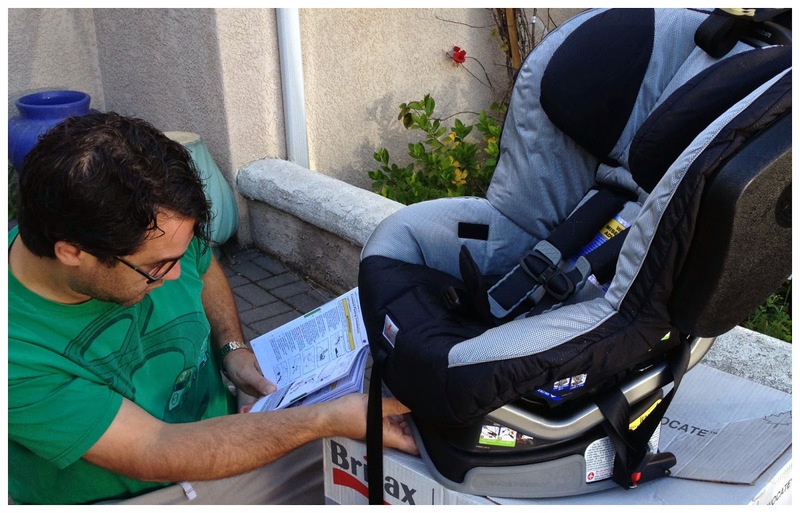 When the moment of truth finally happened, when it was time to personally ensure my son’s day-to-day safety, I brought the owner’s manual and one more essential asset out to the driveway to help me install my first car seat: my wife. Though I’m still a car seat novice, I can rest assured knowing that the Littler Dude clearly appreciates at least one essential feature of his Advocate: Britax’s True Side Impact Protection, or as he likely views it, a cozy place to rest his head. 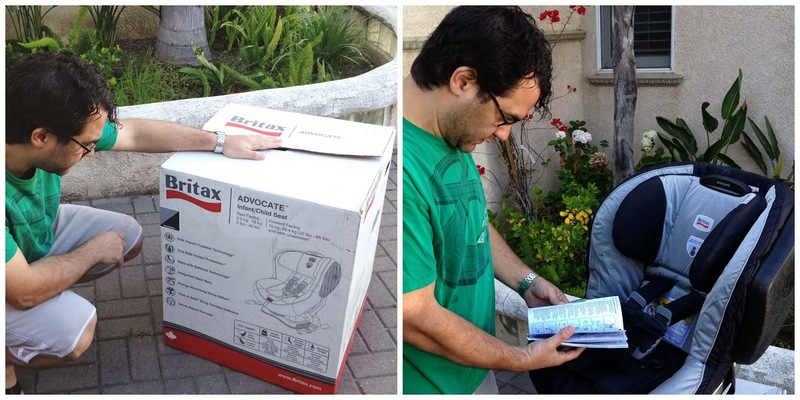 Disclaimer: Though I was given an Advocate UltimateComfort Series car seat by Britax for review purposes, I was not compensated otherwise for this post. All opinions contained within are 100% mine, for better or worse. Also, I wish they made these in my size so I could sit on Memory Foam whenever I'm in the car. *= The Advocate Ultimate Comfort Series is available exclusively at Babies R Us. I've always fitted the seats on my kids car seats... for the last 7 years. However, last week I called into Ireland's Road Safety Authority "Check it Fits" Roadshow to ensure that I'd fitted them correctly. I discovered that OK the seats might have been fitted OK, but my seat belt on one was twisted, and I should always ensure that the booster seats are secured so that they cannot move about in the car while the kids are not in them. This is the means by which you ought to approach supplanting the entryway locks of your car. A sponsor seat is made principally for more seasoned little children and youthful review schoolerslambingan. This is the means by which you ought to approach supplanting the entryway locks of your car. A sponsor seat is made principally for more seasoned little We make sure that all lotto result that we post are accurate. However, we still encourage our visitors to visit the official PCSO website and verify the game results from there. Conventional LEDs have been used for indication and display applications for several decades. The inherent benefits of LED technology are well-known and documented, and include, maintenance and power savings, as well as fasadskylt performance features that are taken for granted by electronics-savvy consumers such as durability, reliability, longer life span, and consistent color and brightness levels. Conventional LEDs have been used for indication and display applications for several decades. The inherent benefits of LED technology are well-known and documented, and include, maintenance and power savings Wishes have no religion like hollywoodneuz.net wishes for Christians are same as that for Muslims and Hindus or Buddhists and all other religion. A final problem boaters encountered with this do it yourself approach involved the directional nature of LEDs and the basic design of the fixtures they attempted to skyltar led retrofit them into. Unlike incandescent bulbs which radiate their light over their entire surface, LEDs produce light over the top of their surface, resulting in a much tighter beam spread. Windows Movie Maker 2.1, developed by software giant Microsoft, offers the options to create, edit 123movies free and share home movies on your computer. You can produce your own movie, eliminating poor shots and accommodate only the best scenes. This is somewhat understandable considering that some LED lights manufactured as little lastbilsdekor as 5 years ago weren't quite up to the task of replacing current standard incandescent and HID lighting.